This superb display piece was discovered in 1976 and has remained in the same collection ever since. It is so rare to find these large Stellare's nowadays (one every two years if you are fortunate enough!). The hollow chambers have been filled in with clear resin, ground gem smooth and finally a high polish applied to reveal stunning colours and detail. Many hours of work have gone into this specimen. A unique and highly aesthetic statement piece for the interior designer. 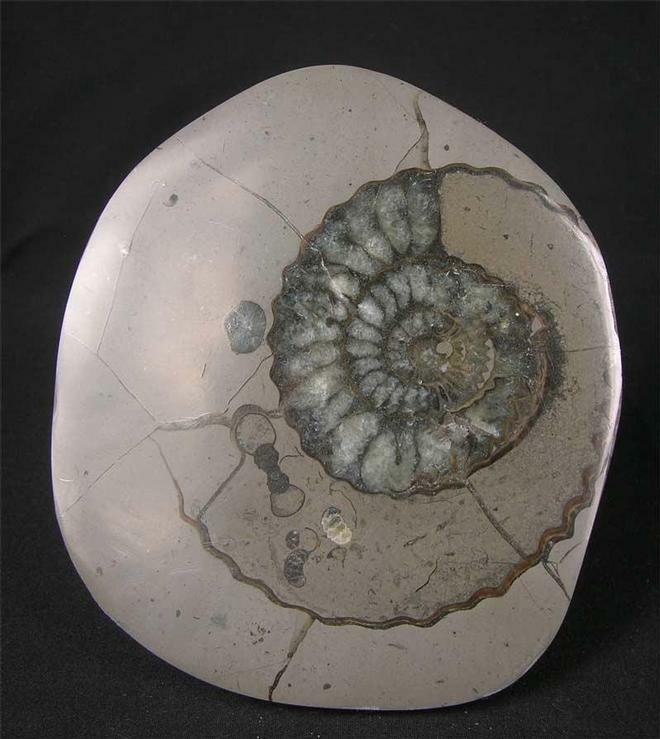 Fossils Direct always deliver marvellous quality to all our customers worldwide. Approximately 200 million years old. A wrought iron display stand comes with this piece. 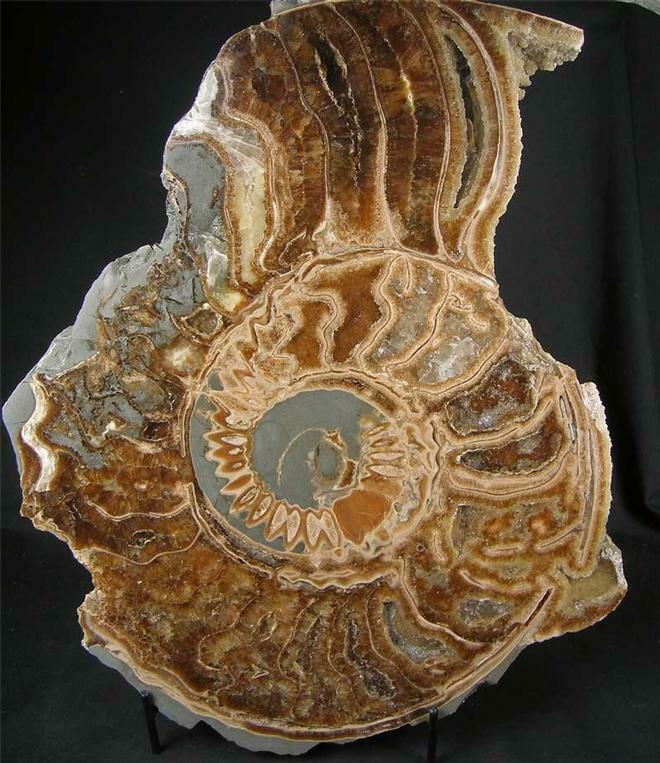 Again another stunning half ammonite preserved in wonderful shades of brown and cream coloured calcite. Each open chamber has been filled in with clear resin then a polish applied to give the "rock pool" effect which is amazing. Many hours of preparation has gone into this fossil which was discovered in 1978. These large Stellare's are incredibly rare to find thesedays. This one has been in the same collection ever since its discovery. The ammonite centre is extremely good. Interior designers would see this as a real statement piece in either the home or office space. A wrought iron stand is included with this unique fossil. Approximately 200 million years old. A thin slice has been taken through the nodule, ground gem smooth and finally a high polish applied to reveal wonderful colours and detail. Approximately 190 million years old. This item would make a lovely drawer specimen. A really nice piece of Stellare section which has been ground gem smooth and a high polish applied. 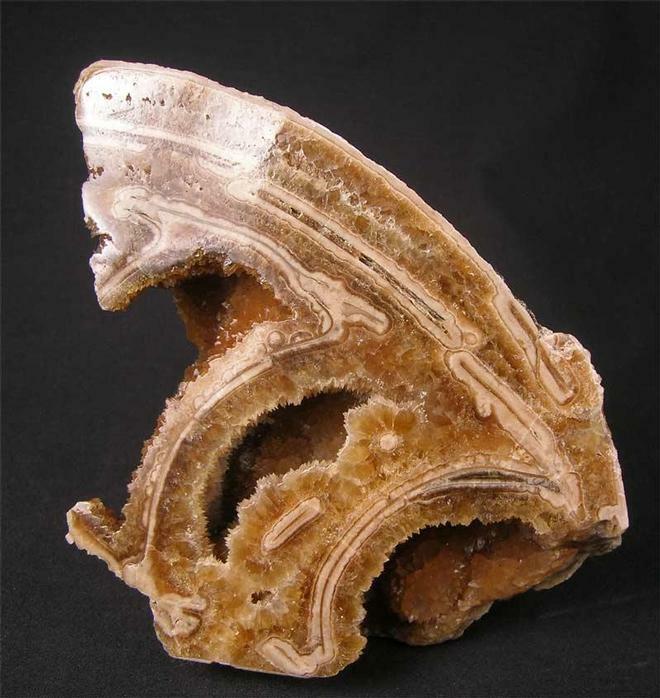 Within each open chamber lies hundreds of tiny brown calcite crystals. 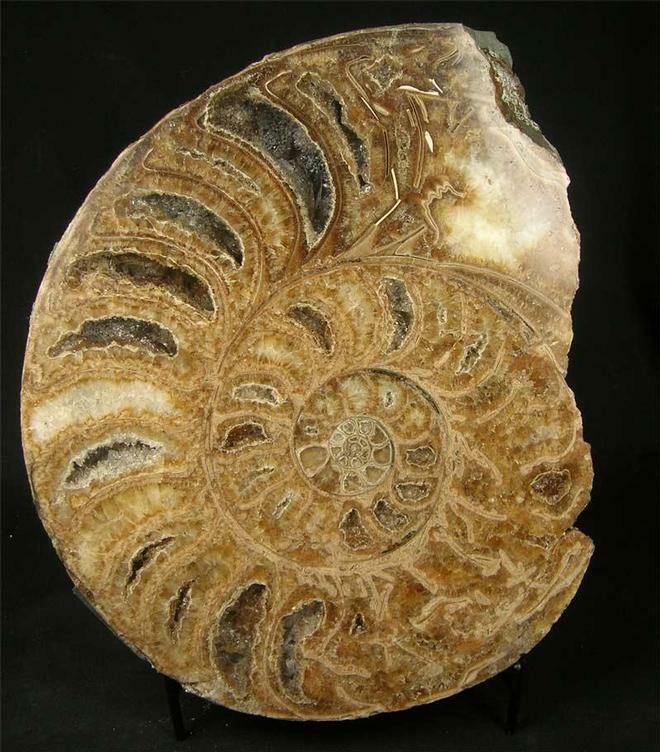 The other side of the specimen still retains the original shell of this classic Lower Lias ammonite which is indeed quite rare. The specimen has a level base for upright display and would look fantastic on either glass or wooden shelving. Approximately 200 million years old.